Debbie and Nick’s family story begins with loss, but becomes a journey to joy and fullness. The couple lost their first child to a genetic disease, and though their hearts still held an empty space that only a child could fill, they could not bear the risk of another loss. Inspiration came one evening as they spent time with friends who had adopted a child from China. As the conversation continued, Debbie and Nick began to see the possibilities and soon began to explore international adoption through the agency their friends had used. Their dreams were realized when their new daughter, 16-month-old Lillian, came home to Memphis. Lillian grew and thrived in her new family, and after several years, began to wish for a sibling. 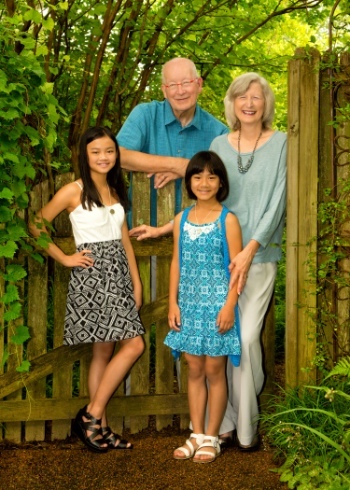 Debbie and Nick agreed, and, earlier this year, Linnea, now 11, became part of the family. We met Linnea when she was 10; she was shy, apprehensive, and spoke no English. Though she hid behind her mother when they arrived at our studio, it did not take long for her to relax and warm up. The session went smoothly, and we were touched by the bond that had quickly formed between Linnea and her new family. 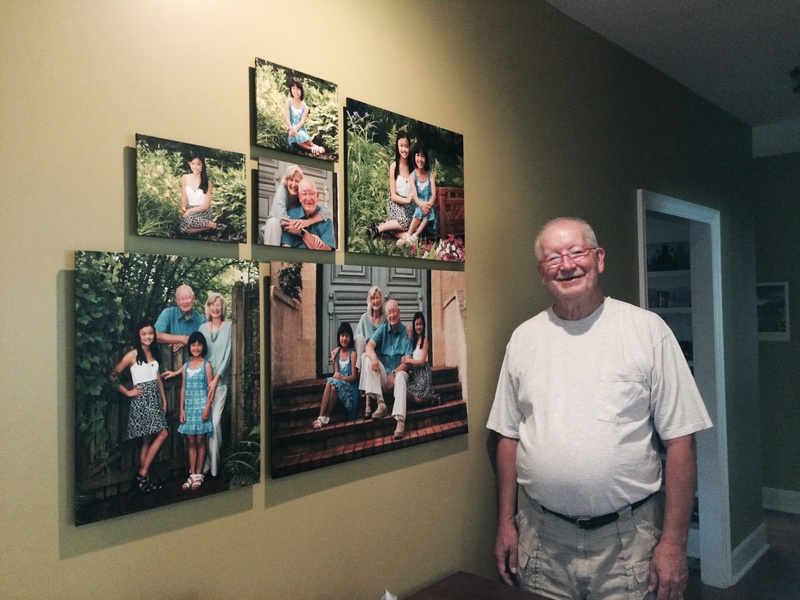 I recently visited Debbie and Nick’s home to hang their portraits in the family room. Linnea is now speaking English, and has made friends at school, and Lillian is a Level 8 gymnast and at the top of her class. Nick, who is retired, has dinner waiting due to the limited time Lillian has between the end of school and the three-hour gymnastics class she attends five days a week. She studies in the car during the one-hour drive to her gym and still manages to maintain excellent grades. The dinner table is lively and full as this family’s busy life radiates laughter, love, and joy. What a delight to spend time and capture these moments in portraiture.